Close to city center, the property is very located. The owner was available on our arrival to tell us all about the apartment. Possibility to park the car next to the entrance was very convenient. The host was so friendly and helpful! She exceeded expectations, would highly recommend!! Very accommodating, great service, genuinely friendly. The apartment was clean and tidy, it had everything you needed home from home. The little lady that greeted up on arrive was super sweet and very welcoming. The location was great and is easy walking distance to the town centre. 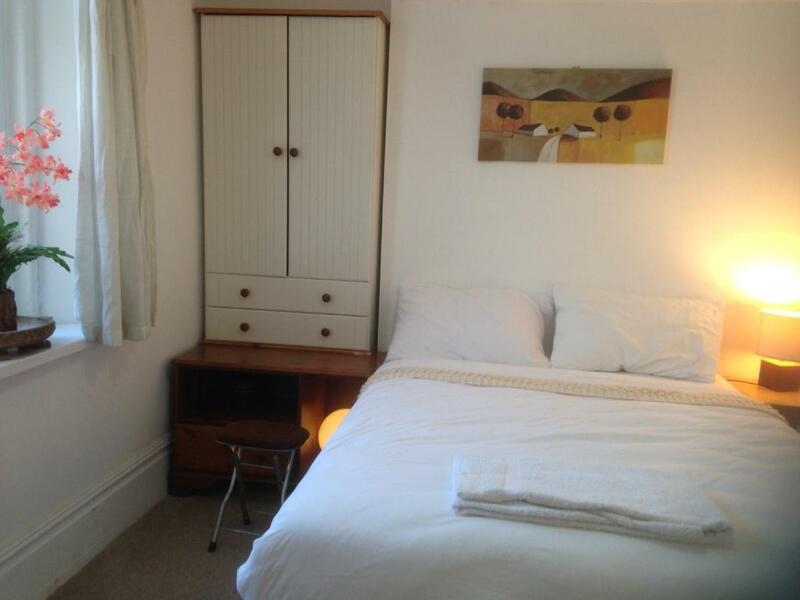 The flats were very clean too and are ideal for a short stay. The beds are comfy, the sofa beds aren't very comfy. Super Lage im Zentrum von Cardiff aber die Fotos auf Booking.com müssen mindestens 10 Jahre alt sein. Ist alles uralt und verbraucht. Hatten Apartment für 6 Leute gebucht und mussten auf Ausziehsofa schlafen. Ambiente ringsherum (Garten) alles total dreckig. Aber die Gastgeber sehr freundlich und hilfsbereit. 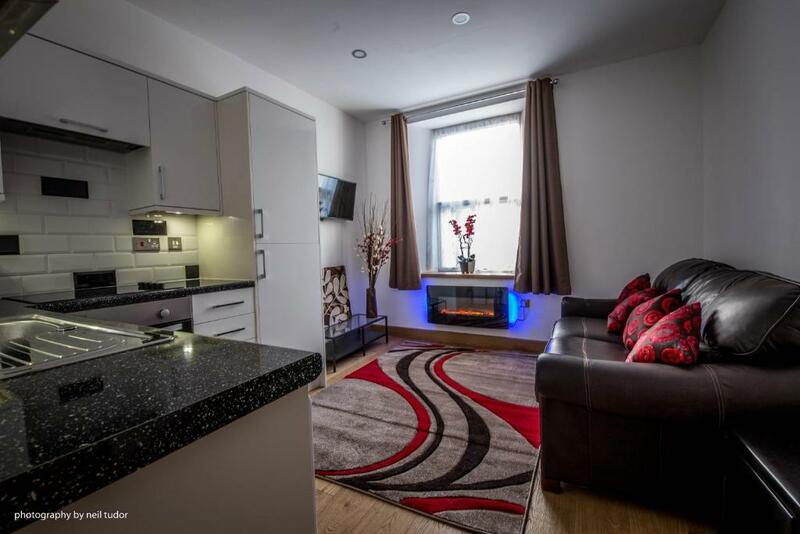 Located in Cardiff, 0.7 miles from St David's Hall, Cardiffwalk Serviced Apartments offers accommodation with free WiFi. The units have a fully equipped kitchen with an oven, kettle, and a microwave. There is a seating and a dining area in all units. University of South Wales - Cardiff Campus is 0.7 miles from the apartment, while Motorpoint Arena Cardiff is 0.7 miles away. 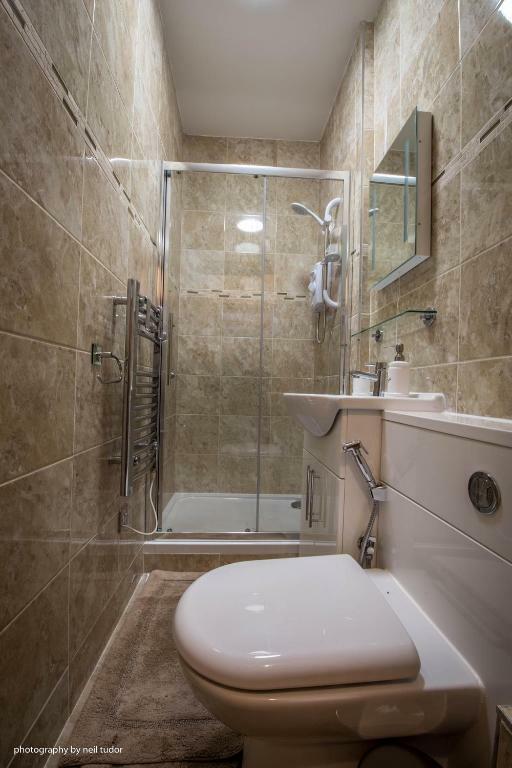 The nearest airport is Cardiff, 14.3 miles from Cardiffwalk Serviced Apartments, and the property offers a paid airport shuttle service. This is our guests' favourite part of Cardiff, according to independent reviews. 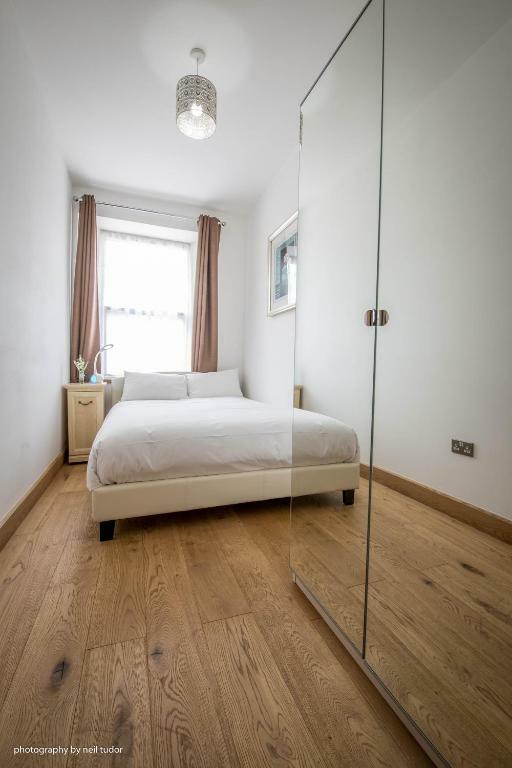 Cardiffwalk Serviced Apartments has been welcoming Booking.com guests since 22 Apr 2016. When would you like to stay at Cardiffwalk Serviced Apartments? 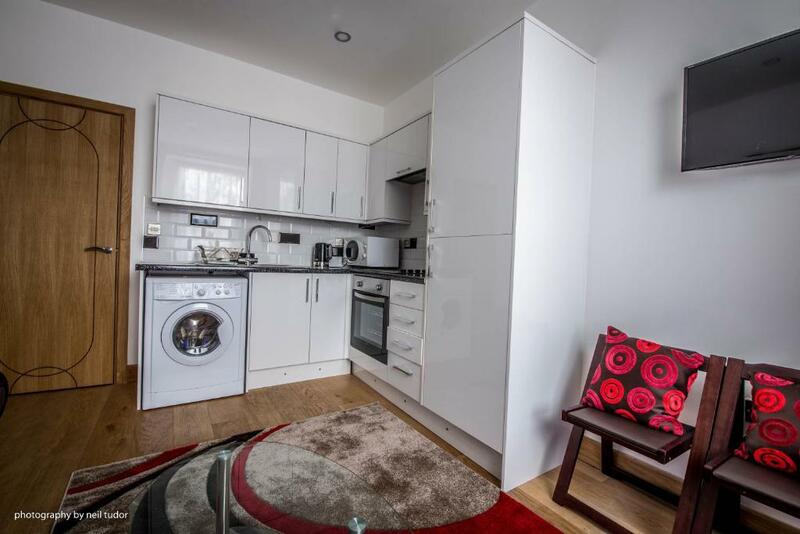 This apartment features a dining area, kitchenette and washing machine. This apartment has a toaster, kitchen and tumble dryer. 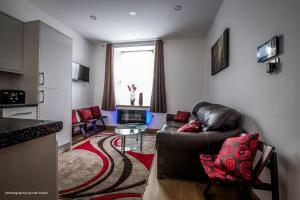 Brand new, Modern interior, fully furnished to a high standard, Free wifi, Flat screen smart TV and free carparking. 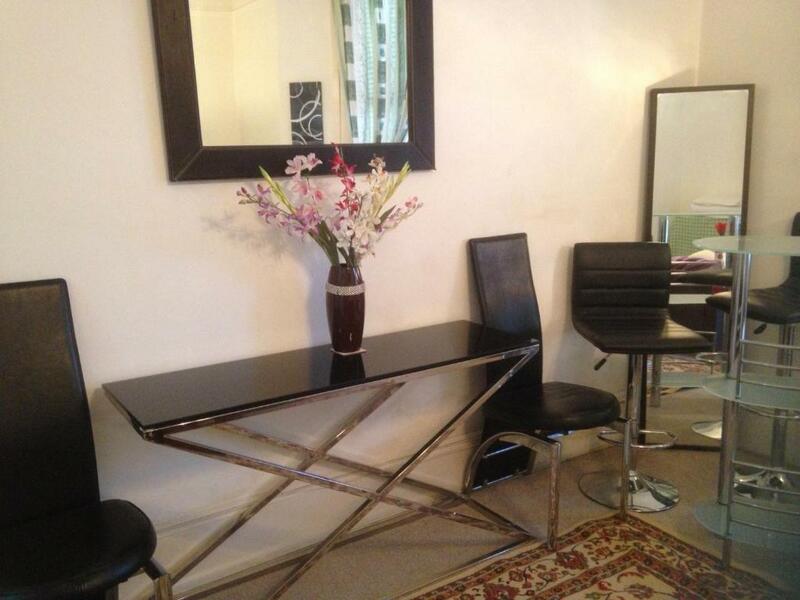 Very Central location, 5 mins walk to city centre, Queenstreet train station and tourist s hotspots! Next street to a great variety of shops, restaurants, bars and night clubs in town. 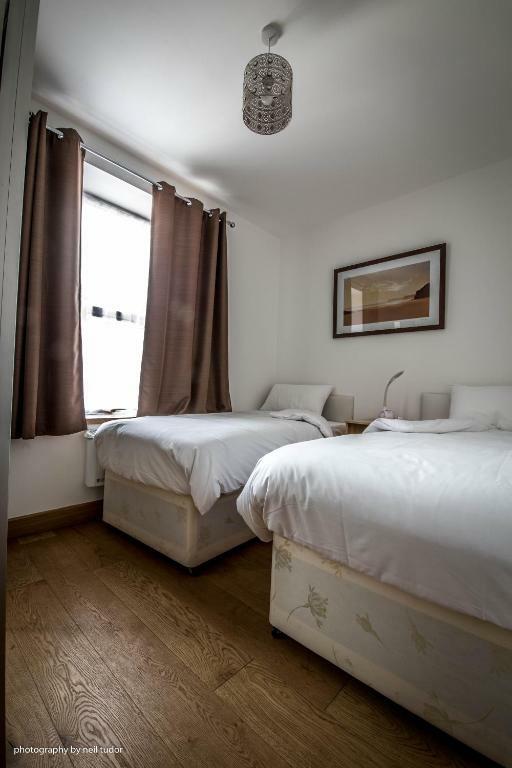 Very convenient for town, Cardiff motorpoint arena, Principality stadium, castle, City hall University, library, schools and most tourists hot spots! House rules Cardiffwalk Serviced Apartments takes special requests - add in the next step! A damage deposit of GBP100 is required upon arrival. This deposit is fully refundable 0 days after check-out as long as there has been no damage to the property. All further older children or adults are charged GBP 40 per night for extra beds. Cardiffwalk Serviced Apartments accepts these cards and reserves the right to temporarily hold an amount prior to arrival. Please note that free parking is available for a maximum of 1 vehicle per reservations. If more parking spaces are needed per reservation, fees will apply. A damage deposit of GBP 100 is required on arrival. You should be reimbursed on check-out. 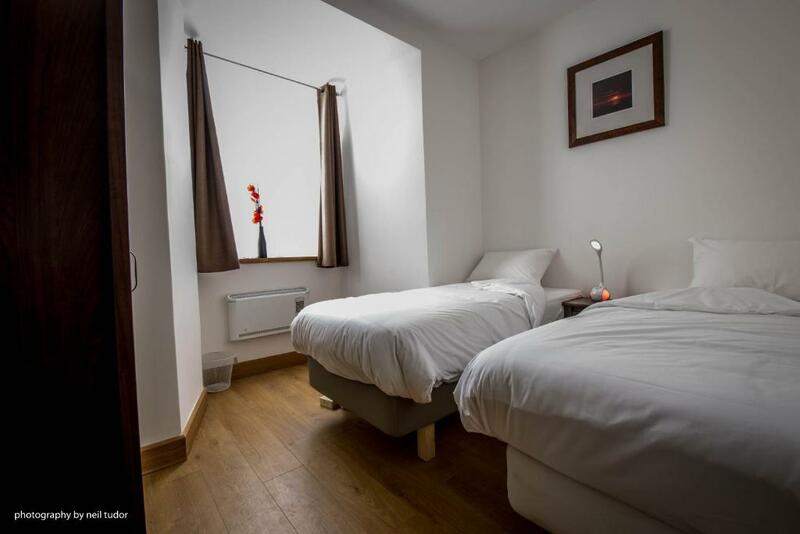 Please inform Cardiffwalk Serviced Apartments in advance of your expected arrival time. You can use the Special Requests box when booking, or contact the property directly with the contact details provided in your confirmation. We where greeted by a dusty filthy smell when we entered the house.The rug in the lounge smelt and was too dirty.When my daughter pointed at the spider that was walking in the rug,my husband tried shaking it off the rug then lots of dust came off from the rug. We tried removing the rug so we could eliminate the smell but there was also lots of dust under the rug and also on the leather chairs.At this point we then called the owner and told her about this.She asked us to hoover but there was no hoover in the house and we also told her that was not our responsibility.We asked for our money back but she said it was non-refundable.We had four children including a 6 week old baby who had already started reacting to the dusty house.She offered to move us to one of her other apartments which we agreed but again,it was smokey and dusty so we ended up driving back home in the middle of the night.She still could not agree to refund us. She was more concerned about us rating her so she told us that she would book us as no show so that bookings.com would not ask us for a rating. I was really disappointed because not only Did I have a new baby but it spoilt my husband’s birthday treat.It also cost us about£230 or more which the lady refused to refund as she kept saying it was a non refundable booking regardless of no customer satisfaction. Property was perfect. It was in the best location for shops and bars. Parking is right outside and free which was really helpful! It was really clean and had everything we needed. Kim was really helpful and answered any questions we had. Definitely recommend to anyone having a weekend away in Cardiff! Great location and venue with free parking. The apartment was very expensive due to going to Coldplay concert. Beds were small. Shower was a nightmare to get to a sensible temperature. You got burnt or froze. Owner phoned 2 weeks before arrival and announced I had to pay an extra £30 for cleaning and service charges.